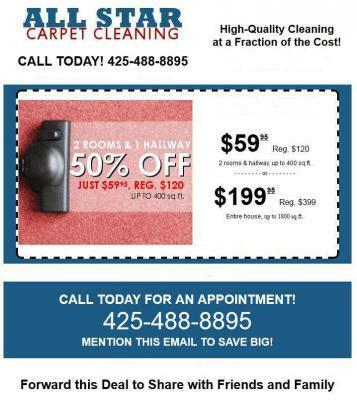 FAQ about Carpet Cleaning in Woodinville, WA. Do you have a question about carpet cleaning, if you do take a look at the list below and see if we are able to help answer your question. If you can’t find the answer or do not see what you are looking for please feel free to email us at davidnorton96@yahoo.com or call us at (425) 488-8895. Question: How often should I have my carpet cleaned? Answer: That is a great question. Manufacturers recommend having your carpets cleaned professionally at least once every 12 months if not a couple times a year. Question: Why should I clean my carpet? Answer: Carpet can have many things transferred into it such as outdoor pollutants, allergens, sand, soil, bacteria and many other germs and bacteria’s that you do not want in your carpet or for that matter in your home. Carpets and fabrics that are not properly cleaned and maintained have the potential to cause a variety of health problems in your home as well. Question: Is it true that cleaning my carpet can make it soil faster? Answer: Yes it can if your carpet is not cleaned correctly. The problem comes from residues being left in the carpet which can attract dirt. This is typically caused by using soap in the cleaning process that hasn’t been rinsed out completely. Our products that we use and hot water extraction cleaning process leaves little to no residue behind to attract dirt so you do not have to worry about this problem. Question: Will having my carpet cleaned get rid of fleas? Answer: Carpet cleaning does not guarantee to get rid of flea problems. We recommend that you try and kill the adult fleas first by whichever method you prefer.